AK-337 modelled in Maya and textured with Substance Painter. Inspired from a post on poly count. 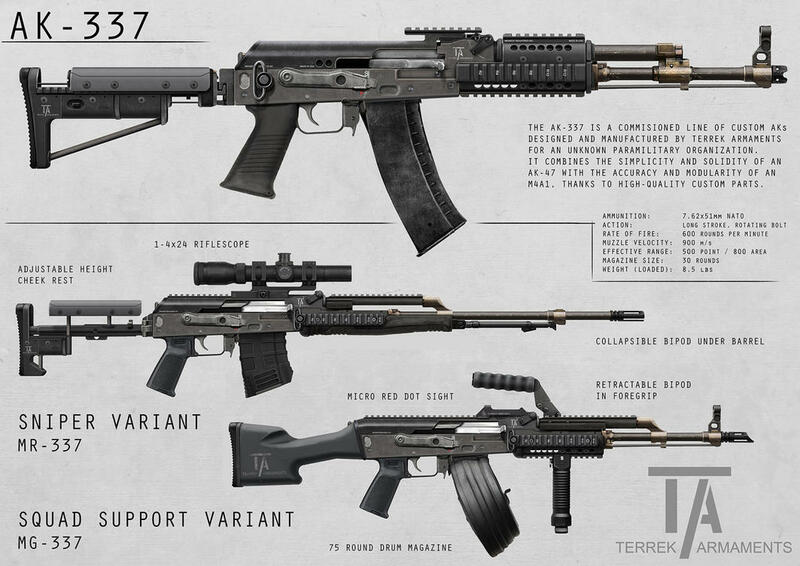 The AK-337 is a commisioned line of custom AKs desgined and manufactured by Terrek Armanets for an unknown paramilitary organisation. It combines the simplicity and solidity of an AK-47 with the accuracy and modularity of an m4a1. Thanks to high-quality custom parts.